On October 2nd, The Seattle Times featured an AP article about the recent quake in Sumatra, along with a “how to help” list. At the top of that list was World Vision International. What the article failed to mention, and many donors fail to realize, is that World Vision is an Evangelical Christian organization with a mission that includes “serving as a witness to the gospel of Jesus Christ.” Perhaps the best known program of World Vision is their child sponsorships. As an Evangelical college student, I sponsored a child in India. I even got and sent a few letters, and it felt great knowing that thanks to me he could afford to attend a Christian school in his area. People in disaster zones and small children, the two primary populations served by World Vision, are both particularly vulnerable, and because of this they are particularly vulnerable to influence. It’s great that World Vision doesn’t take an “or else” approach to aid: listen to our message or else go hungry. Not all missionary organizations adhere to this ethical boundary. But to deny the conversion pressures of money and medical care or education is naive. Consider the plight of Hindu parents who have a choice between a bare local school or a Christian school that provides paper, pencils, and books. All over the world, vast differences in power and resources say to desperate people: Christians have what you need; Jesus is the answer. The World Vision mission, in its own understated way, acknowledges this. 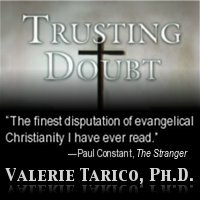 Gallery | This entry was posted in Christianity in the Public Square and tagged Church state separation, corruption of aid, Evangelicalism, proselytizing children, World Vision. Bookmark the permalink.